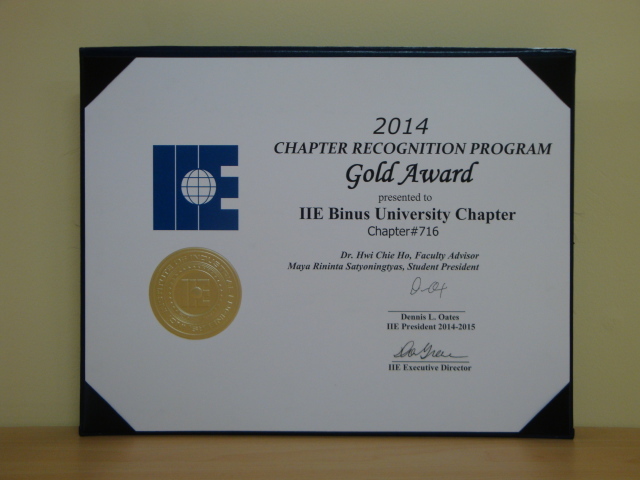 Once again, Institute of Industrial Engineers recognized the BINUS University IISE Student Chapter with the Gold Award! 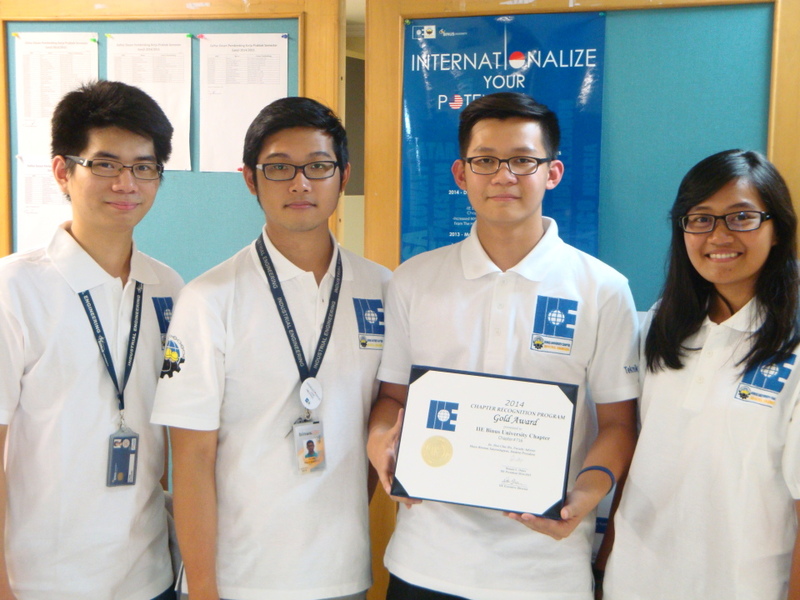 The award is a result from great works of all officers in the organizations. The leadership of Maya Rininta, 2013 President as well as the support from members and HIMTRI were parts of this great achievement. Congratulations, IISE Binus University student chapter!